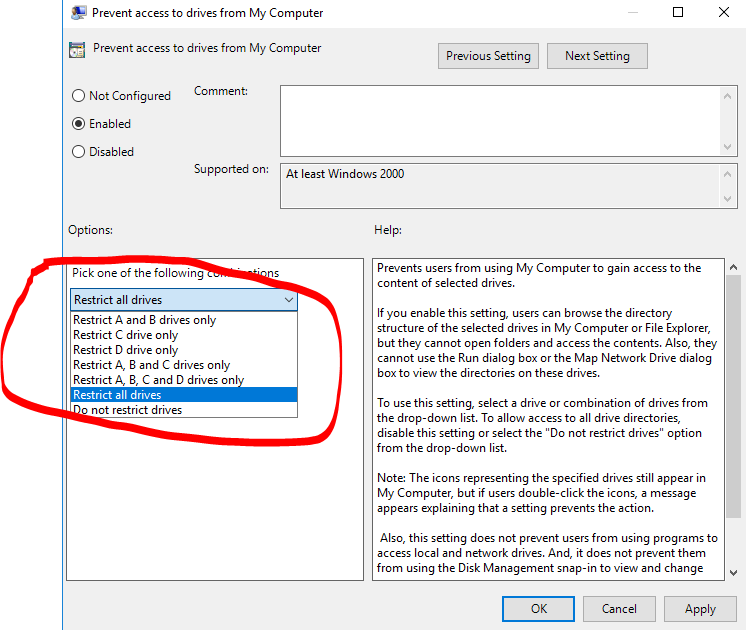 A simple way of preventing access to specific drives on a terminal server environment is using the “Prevent access to drives from My Computer” group policy. 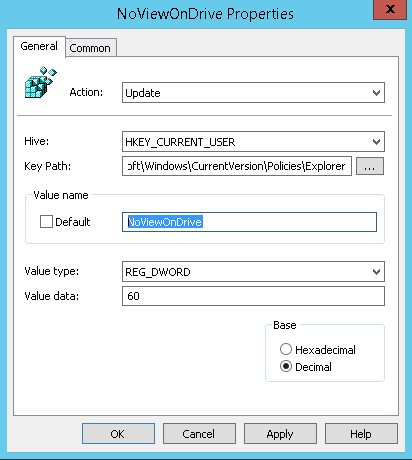 This setting is located under “User Configuration > Policies > Administrative Templates > Windows Components > File Explorer” but this option is limited to some defined drive combinations as stated in the picture below. So, in case we would like to prevent access to other drive letters such as (P, G, K, F, T, S or whatever it is), then we need a smarter way to do it.